The same mask was used, but I applied the fragmentation fuction to one of them. I needed one to look like a delicate material or simply different. Each mask has its own spotlight assigned to it. 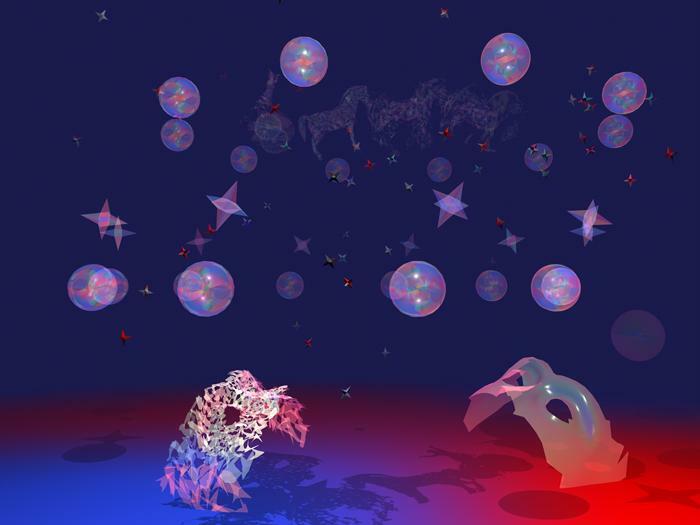 The glass spheres and the stars have an environment reflection of my image Introspection. Aurora the Goddess of Dawn is riding the universe casting her shadow upon our world. Soon we will begin a new day.